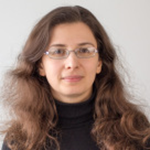 Dr. Elena Demidova is a Senior Research Fellow at the Web and Internet Science (WAIS) Group, Electronics and Computer Science (ECS), University of Southampton, UK. In the past, Elena worked as a researcher, post-doctoral researcher, and a project manager at the L3S Research Center in Hannover, Germany. Elena received her Ph.D. degree from the Leibniz Universität Hannover, Germany, in 2013 and her M.Sc. from the Universität Osnabrück (Germany) and the University of Twente (The Netherlands) in 2006. 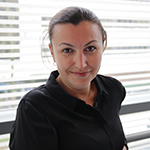 Elena has been involved in the leading roles in several EU projects including most recently WDAqua ITN, ALEXANDRIA, FP7 IP ARCOMEM and KEYSTONE COST Action. Her work has been published throughout major conferences and journals, including ACM SIGIR, ACM CIKM, and IEEE TKDE, and she has been a reviewer and committee member for numerous scientific events and publications, most recently including the roles of PC member for ESWC 2016, ESWC 2015 and CIKM 2013 and guest editor for IJSWIS. Elena’s main research interests are in multilingual data analytics, Open Data and Web archives. 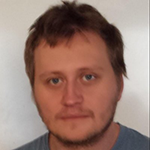 Blaž Fortuna is a senior research assistant at JSI in the area of text and stream analytics, statistical learning and semantic technologies. In the recent years he had publications at international conferences on the topic of news personalization, text and web analytics, cross-lingual information retrieval and classification and ontology learning. He is the major contributer to QMiner data analytics platform for processing of large-scale real-time streams containing structured and unstructured data, OntoGen system for ontology learning and Document Atlas text visualization tool. Dr. Carlos Pedrinaci is a Senior Research Fellow of the Knowledge Media Institute at The Open University. He holds an MSc in Computer Science and a PhD in Artificial Intelligence from the University of the Basque Country (Spain). 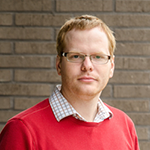 His research interests include Data Science, Service Science, the Internet of Things, and the Semantic Web. Over the years Carlos has participated in many European Research projects exploiting semantic and service technologies for data integration and analysis in highly distributed systems. 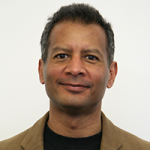 More recently Carlos served as Scientific Director for the European project COMPOSE devising a Big Data infrastructure for supporting large-scale heterogeneous Internet of Things applications. Dr. Pedrinaci has published over 90 papers in major conferences and international journals and has co-organized a number of conferences, workshops, and summer schools including notably ESWC, ISWC, Web Science, as well as the European summer school on Service and Software Architectures, Infrastructures and Engineering (SSAIE) where he has served as member of the steering committee and tutor. 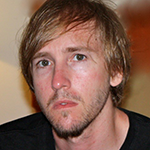 Dr. Chris Phethean is a Research Fellow at the University of Southampton, in the Web and Internet Science (WAIS) research group. He gained his PhD in Web Science, also from Southampton, in 2015 with his research examining the potential value of social media organisations for charities. His current research interests include online community analysis, particular around food and cuisine communities on the Web. 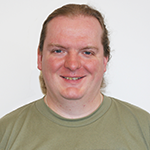 Chris works on the European Data Science Academy project, primarily on the development of data science curricula and the design and delivery of data science courseware. 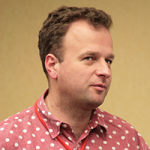 He also teaches the Foundations of Data Science and Data Visualisation modules on Southampton’s Data Science MSc course. Jan Rupnik is a researcher at JSI. 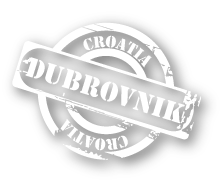 He received his BSc in Applied Mathematics at University of Ljubljana, Faculty of Mathematics and Physics and will defend his PhD thesis at Jožef Stefan International Postgraduate School in June 2016. His main research area is machine learning, specifically on statistical methods for cross-modal data analysis, sensor mining and anomaly detection. 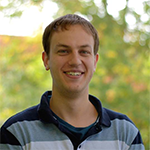 He worked on several academic and industrial research projects on the problems of: vehicle traffic analysis, cross-lingual text analysis, predictive analytics of energy consumption, and mining machine logs. Claudia Wagner is postdoctoral researcher at GESIS – the Leibniz Institute for the Social Sciences (Germany) since October 2013. Starting in April 2016 she will be an assistant professor at University Koblenz-Landau and head of the Data Science team at GESIS. 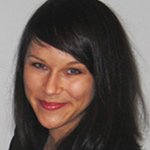 From 2007-2013 she worked as a research assistant at JOANNEUM RESEARCH in Graz (Austria) and conducted several international research internships, amongst others at the Social Computation Group at HP labs (CA, US), The Augmented Social Cognition Group at Xerox PARC (CA, US) and the Knowledge Media Institute at the Open University (UK). She received her master degree in Computer Science from Graz University of Technology in 2009 and was awarded with a DOC-fFORTE fellowship from the Austrian Academy of Science for her PhD research on the structure, semantics and usage of social streams in 2011. Claudia is frequently serving in program committees for international conferences and journals about social computation, semantic technologies and user behavior analytics.